The project of non-existent villages deals with culturally organized areas of landscape and activates spaces where human habitation has ceased. These villages are considered as null pointers; those points existing on maps and in cultural memory but which have lost the objects being refered to. The exhibition connects the villages in question conceptually and/or technologically to the exhibition space, links proto machines and/or rural symbols to contemporary technological culture. Participating artists excavate embedded meanings in these culturally changing environments and search for intersections of traditional and contemporary cultural practices. 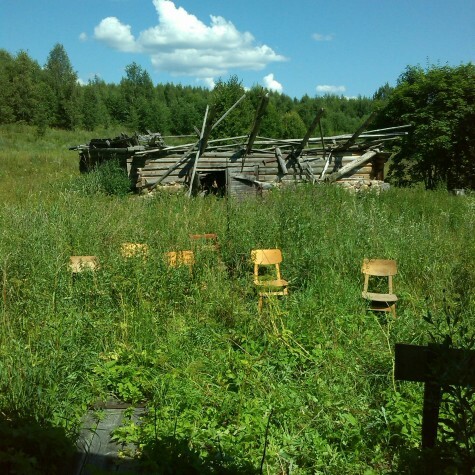 The closing event, a joint tour, takes place on SATURDAY 26th of July starting 12:00 from Tartu / 14:00 from the Võru City Gallery and passing by all the installations in the landscape, also featuring sound performances by Derek Holzer + Marco Donnarumma, Patrick McGinley and Villem Jahu.